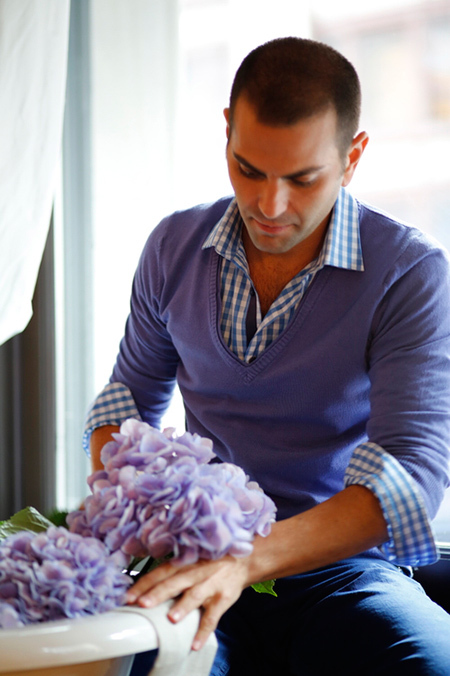 This month’s featured designer is Anthony Taccetta. 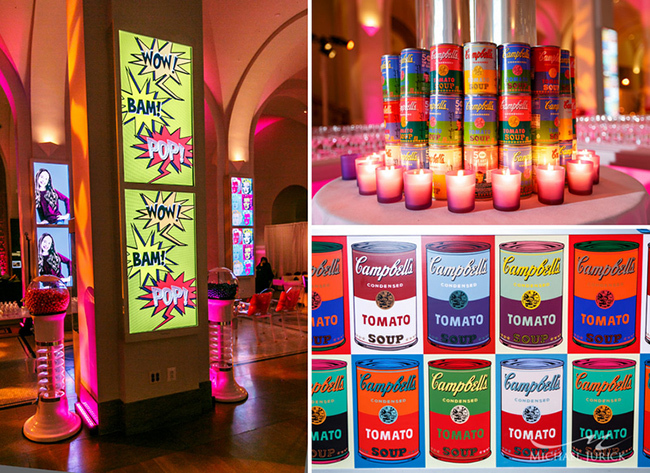 Anthony is known for his dramatic event style, which stems from his theatrical background. 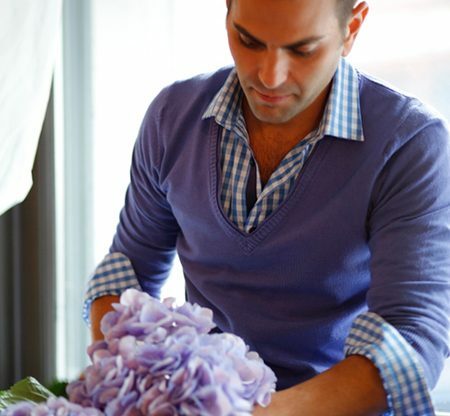 His inspiration also comes from his own personal reflection and experience with certain areas of life, culture, and art, including theatre, film, travel, décor, food, and fashion. 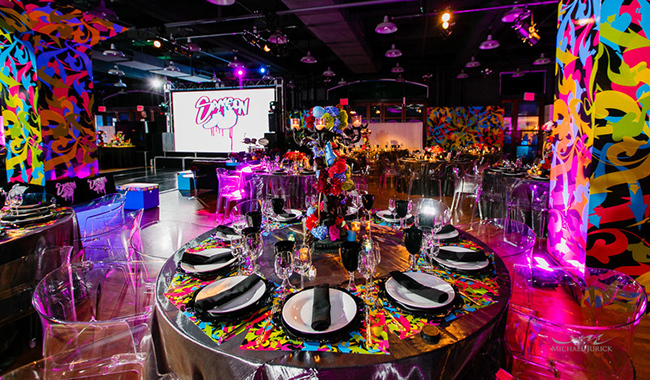 Anthony believes in breaking traditional rules that surround entertaining and focuses on just having fun with his events, with themes likes Pop Art, Carnival, and Graffiti. His top tip for producing an event: “Forget everything you know, or think you know, about designing an event and start fresh each time. Stay up to date and open-minded to new ideas, people, and places. The simplest details at a new restaurant could be the spark for an entirely new design. 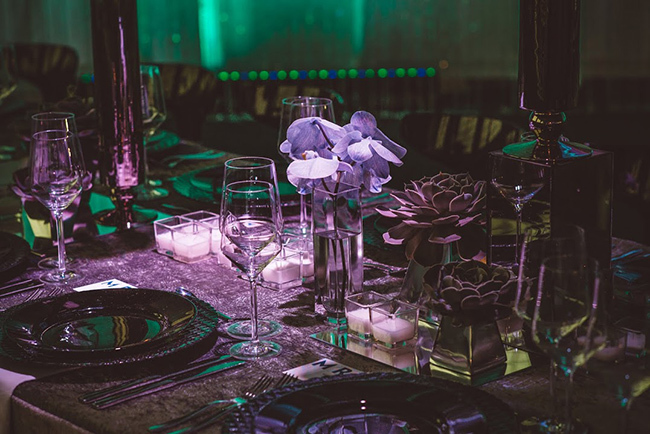 We love this elegant tablescape he did for an event with rich peacock green and purple colors and several Jamali Garden items. 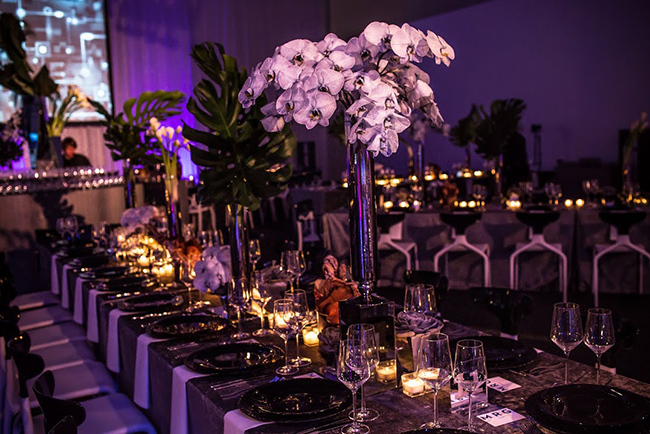 Beautiful Phalaenopsis orchids and large monstera leaves fill our Nickel & Chrome Tube Vases on this table set with black chargers, while our 10-Hour Cube Glass Votives add warm candlelight. The detail below shows some of the other elements on the table. Anthony turned our Square Pot Vase and Square Mini Aluminum Vases upside down and added Echeverias to them, held in place with Sure-Stik. These vases and succulents were then put on a Square Table Mirror along with the votives and vases. A smaller Square Vase also holds a few orchid stems. 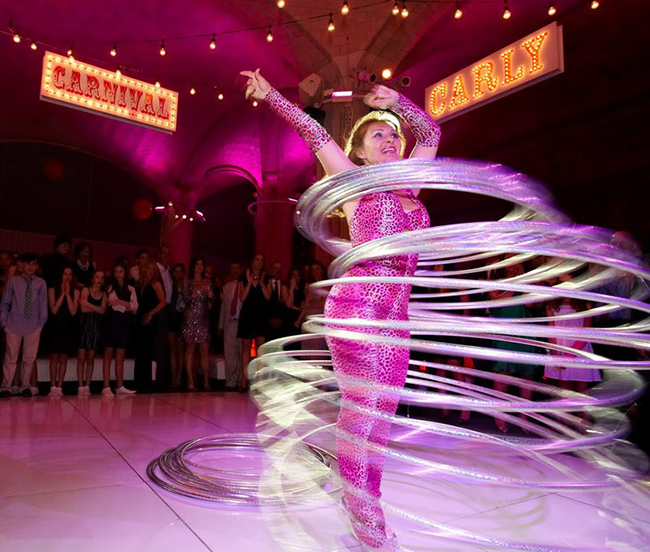 Anthony is a member of The Chosen Few, a society of event professionals founded by legendary event producer Harriette Rose Katz.